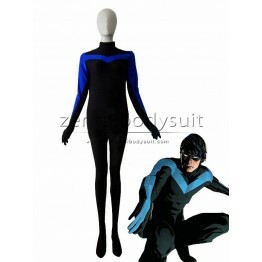 Nightwing is the name of serveral superhero appeared in DC Comics. 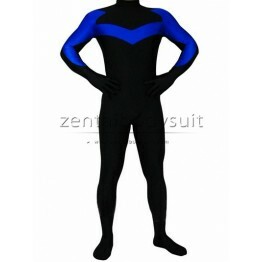 The suit is the new design, the ..
Nightwing is the name of serveral superhero appeared in DC Comics. 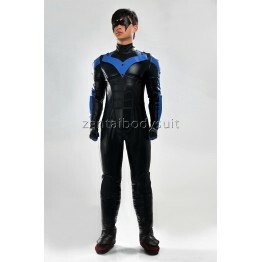 This suit is made of all spandex,..
Nightwing is the name of serveral superhero appeared in DC Comics' Batman Series. 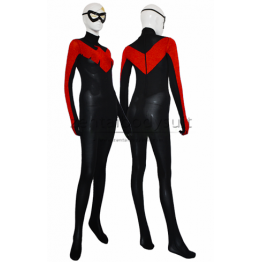 The suit adoptes ..